Google Partners is a programme from advertising agencies, digital marketing professionals and other online consultants that offers a range of different benefits. For businesses looking for marketing agencies, they may find that a lot of the marketing agencies they look at advertise that they are Google Partners. It isn’t an easy process to earn Google Partner status, however. They aren’t just handed out to any business. Not only must individuals in an agency take numerous courses and pass a number of tests, the business must also prove it can meet strict requirements in order to become a partner. That’s the process of just becoming a Google Partner. Getting to the next level is even tougher. What Are The Types Of Google Partners? Company Level Partnerships – This partnership requires at least one employee in a business to be certified and manage a large enough client base to spend at least $10,000 in a 90-day period. Once this certification is attained, the business will have achieved a globally recognised level of expertise in Google Advertising. Google Premier Adwords Partnerships – A business must show a greater level of customer service in order to attain a Google Premier AdWords Partnership. Again, they must have at least one certified employee but must also have a large base of clients in the form of small and medium-sized businesses and be able to support that base with telephone or email customer service. They should be capable of supporting thousands of clients. If a marketing agency holds either of these partnerships, it is likely you will be able to find a Google Partnership logo somewhere on their website. 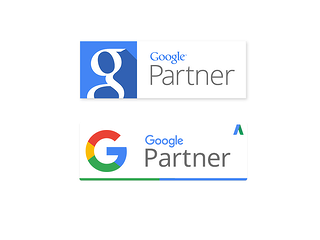 There are two different logos that allow you identify what type of Google Partnership a business holds. Check out this article to find out more about what it is to be a Google Partner. What Does A Google Partnership Offer? So, you know what it takes to become a Google Partner and a Google Premier Partner but what do these partnerships have to offer? There are a number of benefits for marketing agencies that are Google Partners, rather than just members of the partnership programme. Having access to Google beta features – Google Partners have access to Google’s beta features, meaning that they can test any new feature or application up to a year or more before everyone else. This means your business has access before your competition does. Have issues solved quicker – Google Partners with a large ad spend get their own Google Agency Team that they can contact without having to wait in line for other people’s issues to be solved. This means any issues you may have will be addressed immediately and solved in less time. Working with professionals – Any digital marketing agency that has a Google Partnership will have individuals working for them that have all the correct certifications that are required for the agency to become a Google Partner. This means you will be working with certified account managers. Check out this article for more benefits of working with a Google Partner. Could Your Business Benefit From Working With A Google Partner? Working with a Google Partner gives your business access to a number of benefits that aren’t available anywhere else. If your business is facing tough competition from similar businesses, working with a Google Partner may give you just what you need to stay ahead. Here at the JDR Group, we are certified Google Partners. Please feel free to get in touch for more information.